It is quite difficult to predict what will happen to Brexit while competition prevails over cooperation in British politics and within the Conservative Party. However, there are several options: a second referendum, no-deal Brexit, Brexit delay or no Brexit at all. Dmitry Ofitserov-Belskiy, senior research fellow of the Primakov National Research Institute of World Economy and International Relations, told valdaiclub.com about the most likely scenarios. It is the most likely scenario, and Britain will try to delay its exit from the European Union. That is, it will not happen on March 29, as was originally supposed. At the end of last year, when it became clear that Teresa May would not be able to pass a coordinated draft withdrawal agreement through the parliament, the European leaders began talking about how to extend the British exit from the EU. Of course, this does not mean that the additional time will give a chance for some new compromises. However, in this case Britain will have the opportunity to prepare for a new referendum or arrange other suitable options while maintaining membership in the European Union. In fact, the agreements with the European Union (on the “special status” of the UK within the union - Ed. ), which were reached by David Cameron in 2016 immediately before the Brexit referendum, included quite favourable conditions for London, which were sufficient to strengthen the sovereignty of the country. Britain’s exit from the EU was not needed in the first place. However, the Brexit negotiations have been launched, and now the British political class will have to find a compromise within itself, as well as to try to find a compromise with the Europeans. This is a very difficult task, because one compromise is impossible without the other. Of course, a second Brexit referendum is possible. But generally speaking, Britain is not prepared for it. Why? Because from the point of view of the British political culture, this would look rather strange. The decision on withdrawal was made. Indeed, it can be overturned, but rather serious arguments are needed for this, a fundamental change of circumstances that would make the British political class raise the Brexit referendum issue again. However, nothing has happened so far that could change the current balance of forces. We are talking only about the fact that the specific draft agreement on withdrawal from the European Union was not supported by the MPs. And it is quite logical that the parliamentarians did not support it: first, this exit project retains a lot of uncertainties for the future, and, second, it is simply not beneficial for the UK. By the way, in Brussels, the question of whether a second referendum can be held and Britain could remain in the EU is discussed and considered as a very realistic option. No-deal Brexit is now hardly possible. There is a lot of fuss about it, but we see no preparations. That is, in theory - yes, in practice - no. In order to implement the exit scenario without a deal, the British Parliament must arrange systemic changes in legislation. This is not happening. We see that Britain is not ready to exit from the legal point of view. Of course, it can declare withdrawal from the European Union, stop paying contributions to the EU budget, put its border guards wherever possible. But this raises the Irish border issue (it was one of the most difficult and painful and became one of the reasons why the MPs did not support Theresa May’s draft agreement). If Britain leaves without a deal, the Europeans have every right to set up their border services on the border between Ireland and Northern Ireland. So, in the end Britain will get all the same, plus a set of additional problems. Does it make sense? Hardly so. So, the lingering issue of Britain’s exit from the EU is most likely to be prolonged. It is difficult to say for how long. The problem is that the Europeans put the question point-blank: either the option agreed upon by Jean-Claude Juncker and Theresa May is accepted, or Britain may not quit at all. By the way, the latter option sounded quite often at the end of last year: if Britain changes its mind, then Europe will react to this with understanding and even quite favourably. 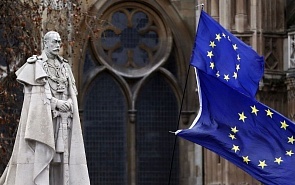 In particular, the European Council President Donald Tusk and many other EU officials said that it would be nice if Britain remained in the EU (of course, their words cannot be considered the official position of the EU, however, they help understand the sentiments that prevail in Brussels and in the European capitals). On January 16, the leader of the Labour opposition in parliament Jeremy Corbyn tabled a no-confidence motion, but Theresa May survived. Why? We remember how, at the end of last year, the Conservative Party itself voted on confidence to Teresa May. And although some MPs expressed distrust, today party loyalty forced them to vote in the parliament for the government’s confidence. Representatives of other parties also voted in favour, even if they had to sacrifice their own conscience and positions. Did Corbyn understand this? Probably yes. The early elections are now completely unbeneficial for Corbyn, because if he wins, he will have to follow the Brexit path, which he would not like to do: his voters will not support him. He is not ready to win the election, to become prime minister, as well as to suffer defeat (and this is most likely to happen). Despite the fact that May is very unpopular (according to opinion polls, her popularity never exceeded 30 percent), this does not mean that the majority will not vote for Conservatives. In England voting means not a specific person, but the political platform that is considered the most appropriate at the moment. And now the Conservative one is the most suitable for all.